Michael Picard has been entertaining audiences for over 30 years and has performed for audiences across Canada. With shows and performances for many celebrities such as Tony Curtis, David Copperfield, Jerry Van Dyke, Jim Carey to name a few as well as opening act for Mike Mandel, Holly Woods w/ Toronto, Blue Rodeo, Joey Elias, Comedian Lang Parker, John Wing, Don McMillan and many others. 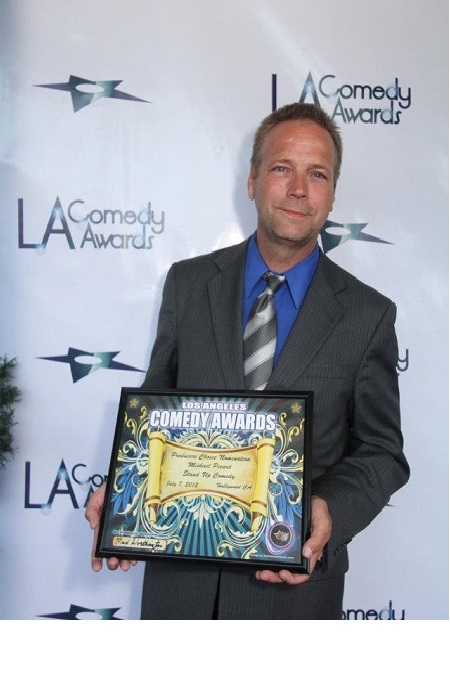 He is the first Canadian performer nominated for the LA Comedy Awards. Michael will be performing at 2:30pm in the Waverley Resource Library’s Auditorium on March 16th, 2016. Tickets are now available in the Waverley Children’s Department! Shauna Kosoris: How did you get your start with magic? Michael Picard: In the early days I always had an interest in show business. When I was 5 I would copy jokes on TV, things like that. Then in grade 5 I got a magic kit for Christmas and that was it. From then on I learned more stuff. I went door to door at 13 asking if people wanted to see me perform a magic trick. If I’d only been selling Avon I would be rich today! During the late 70’s and early 80’s I was a filler guest on CKCO TV in Kitchener. Were people receptive to you showing up at their door and performing? That’s good. When did you start adding comedy into your act? I always wanted to do comedy. During comedy shows, more people leave being entertained. In a magic show without comedy, people may walk away just being puzzled by how the tricks worked and are not necessarily entertained. I wanted to entertain. I see you used to perform as Twister the Clown, too. Why did you create him? 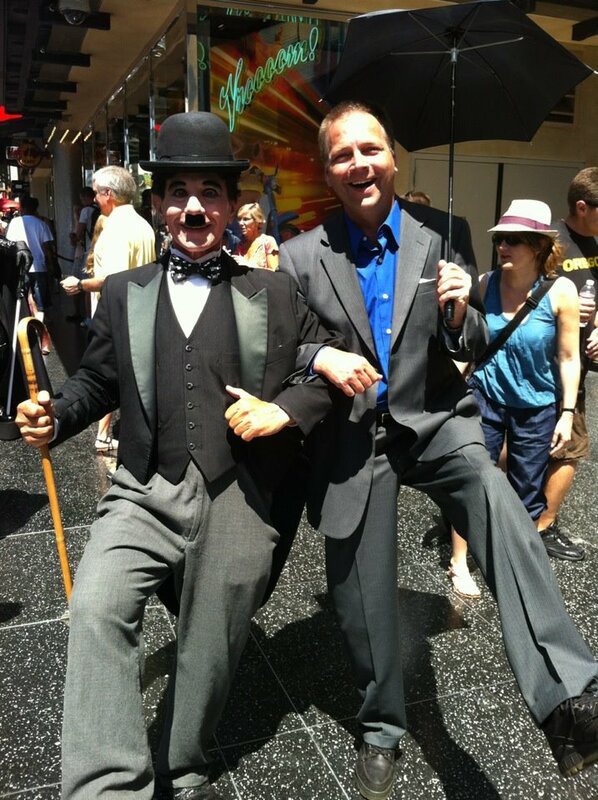 Kell Bell the Clown in Kitchener, ON asked me to do a lot of shows filling in as a magician. One day she told me I’d be a good clown. So we got together and made the face. We worked on the costume, eventually getting it into its final form. The name came about because I was a balloon twister into animals and shapes. In 1989 I produced one of the very first videos that taught balloon twisting called balloon creations and was sold in magic shops around the world. I had to retire him because I got a double eye infection from the make up, ending up with a detached retina. Plus people are afraid of clowns. But the show is still basically the same act, just without the clown. You’ve performed for many different celebrities over the years. Do you have any celebrity stories you’d like to share? I’ve never met Cher so I can’t share Cher. But you should ask Murray Langston, the Unknown Comic from the Gong Show. He’s got Cher stories he would like to share. Growing up I’d go to the Central Ontario Exhibition wanting to be a magician. I thought I was much better than I was. I never got to work as a magician but I got to work the games. And I got to meet all the celebrities that would perform there, such as the Bellamy Bros, The Kingston Trio and many more. One time I introduced myself to Jerry Van Dyke. I performed some magic for him. His agent, Stu McLellan, came in and Jerry said”show him what you showed me!” Stu gave me his card and told me to call him when I turned 18 (but unfortunately I lost the card). Then the great Canadian entertainer Gordie Tapp of Hee Haw came in. They asked me to perform again for him. Finally David Wright, the manager of the fair, came in. Gordie told David Wright to hire me for next year. How exciting! Now I have to ask, what was it like meeting David Copperfield? He’s a cool guy. Very genuine and very sincere. I first got to know him when I was a full time performer at Stages Night club in Kitchener. When David came to town he always took his crew to LuLu’s roadhouse, known for the world’s longest bar. But they closed down a week before he was coming into town. I went to a member of the crew when they got into town and told her that Stages was the new happening place. I told her about my act and to let me know how many people would be coming from the crew and I’d hold a table for them. During his show, one of David’s tricks went poorly and not up to par. He spent 45 minutes at Stages trying to figure out how it went wrong, during which no one wanted to approach him. So only David, Kyle and myself went to Stages. He checked out the place and finally said to me “I don’t see any chicks, so let’s see some tricks.” I performed for him and he came back to Stages every year afterwards. One time, when I’d gotten into the character of Twister, I went down to the theater in the afternoon and told David I’ve never gotten a picture with him. We were friends and I never asked for such things, but I wanted one to promote my new website. He was on the phone with his girlfriend at the time, telling her he was talking to an actual clown. He told me to come down the next night and do a show for him and then I’d get my picture. I’m glad you got your picture with him. So tell me, what magician inspires you the most? This is very difficult to answer. There isn’t just one. Leon Mandrake (Mandrake the Magician) of course. We’re close friends. He’s also very genuine. His opening act was always the history of magic up to that day. He’d sit and have a conversation and really draw you into his world. Personality wise, I put forth (unintentionally) a lot of Harry Anderson from Night Court in my act. I’m sorry if this one’s also difficult, but what comedian inspires you the most? My favourite was the late John Penette. I liked the one liners of Mitch Headberg. Growing up my favourite was Flip Wilson. There are two of his jokes that I use in some of my adult shows as a tribute to him, which I make known during the show. I’m not stealing his material. That’s fair. What advice do you have for anyone who wants to be a magician? Learn the basics of magic. There are so many kids watching and learning from “Youtube magic.” They’re super fast, but they can only do the tricks on Youtube, not in real life. So learn the basics first then be as creative as you want. Go to the magic books in the 793’s. Then you’ll be able to know how magicians are doing the modern stuff. Oh and choose one of your parents and let them know how the tricks are done. Then when you perform your tricks for them they’ll know if it’s honestly working. I told my father how my tricks worked. If he knew how and couldn’t see it, then that was the key. Thinking of Youtube, I’ve heard that you’re developing magic trick apps. What can you tell me about them? I’ve got 6 different apps that help you learn magic in development. If you’ve got them on your phone you can be a magician. Magicians will love these apps because they get to focus on presentation, not so much form. I’m most proud of the one where you think of a card and the app will tell you which card you’re thinking of. It takes the human error out of the trick. There’s no pattern to how the app works so the more you play it the more puzzling it becomes. I’m hoping to develop apps full time. I wish you all the best with that. Since this is a blog about books, I’d like to finish up by asking: what’s your favourite book? I’ve read so many. My favourite for magic is Classic Secrets of Magic by Bruce Elliot. I got that book the same Christmas as my first magic kit. It was way too advanced for me. But I kept trying to perform the tricks I lost my original copy was able to get a new one off of Amazon. My favourite books to read are biographies of other people. I like to see the creativity and difficulties they went through because that’s the stuff that’s usually hidden from us. We usually just see the success. I liked Steve Martin’s Born Standing Up. Steve Bluestein’s It’s So Hard to Type With a Gun in My Mouth. You can’t read that without laughing out loud and tears in your eyes. Murray Langstom’s Journey Thru the Unknown. But he didn’t use the title I suggested he use before he actually wrote his biography (Murray Langston “My Life half in the Bag). It’s about what his journey into show business and creating “The Unknown Comic”. Such as when he first met Bob Hope, he told Bob Hope he wanted to be an actor. Bob Hope said no, you want to be a comedian. “Comedians become actors. Actors do not become comedians.” I find that very inspiring. And lastly there is one book I want everyone to order off Amazon and it is called: Perspectives on Entertainment 2: Pursuing Our Passion by Ron Greenfield. This book has an entire chapter about myself and the reader will also learn some insight to many others who are in pursuit of their passion in the entertainment industry. Thank you for allowing me to share my past with you and I look forward to performing on March 16th.